Join SPERI for a roundtable discussion and audience Q&A on Monday 18th March. After the 2008 financial crisis many people predicted a rebalancing of power and wealth towards ‘the people’. But history took a different turn and served up polarized politics and rejuvenated corporate power instead. Progressive causes—including climate action, anti-racism, and anti-sexism—are under fire from people that progressives have claimed to champion. Many of these developments have taken political economists by surprise. 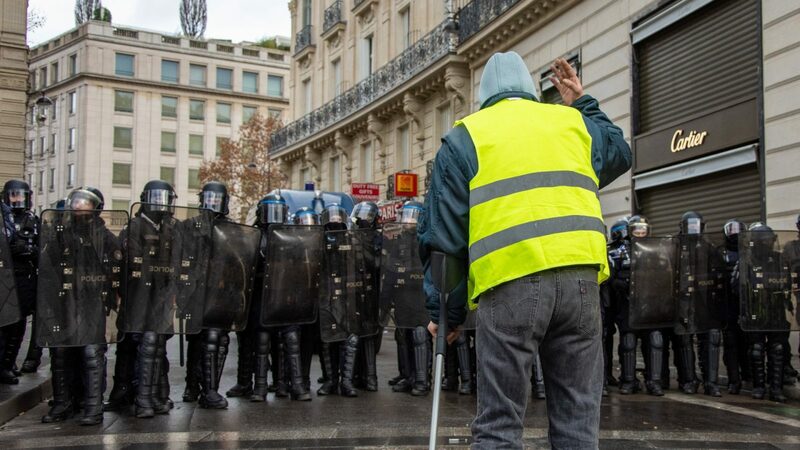 What has past political economy analysis missed, and how can it repair its blindspots? 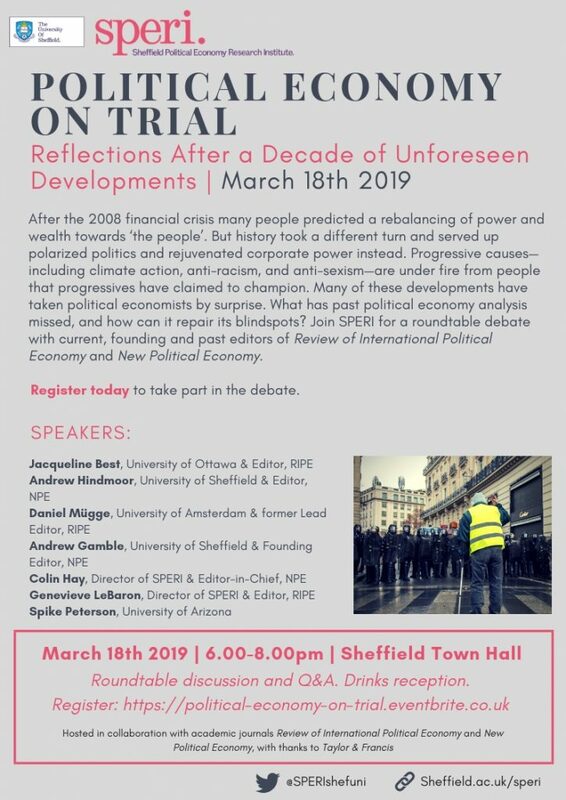 On March 18th SPERI will debate these questions with current, founding and past editors of the leading academic journals Review of International Political Economy (RIPE) and New Political Economy (NPE) in front of a public audience at Sheffield Town Hall. A drinks reception will follow the discussion. Roundtable discussion and audience Q&A, followed by a drinks reception. Free to attend. Register below. Hosted in collaboration with Review of International Political Economy and New Political Economy, with thanks to Taylor & Francis.